THE BASICS` The actual weight of your finished arrow is also very important. Arrows which are too heavy will fly too slowly and with too much loss of trajectory. Lighter arrows fly more quickly, but arrows which are too light can damage your equipment. So you'll need to know a thing or two about arrow mass and industry safety standards before you start sorting through those GPI specifications. How heavy should your finished arrows be? It depends. Let's start at the top. First thing, the weight of an arrow (as well as projectiles in most shooting sports) is customarily measured in GRAINS. Grains (gr) and grams (g) are totally different units of measure. So don't confuse them. The grain is a British system unit - based on the weight of a grain of barley. A gram is a metric unit. So let's just try to just forget about grams for now and focus on grains. A grain is very small unit of weight (only 1/7000th of a pound), so if you would like to have the ability to accurately weigh your own arrows, you'll need a specialized scale. You can purchase an archer's scale that's specifically calibrated in grains for under $50. However, when you order custom arrows from Hunter's Friend, your arrow set will arrive already weighed and certified by one of our professional arrow builders. ARE LIGHTER ARROWS BETTER? This is always a hotly debated topic. Before we wade in, you should understand lighter arrows fly faster with less loss of trajectory. A faster arrow won't necessarily penetrate better, but it will make it to the target more quickly. For some bowhunters and 3D shooters, this is a great benefit. A bow that shoots very fast is often described as "shooting flat". The "flat" part is a reference to the natural rainbow-shaped parabolic flight-path that all arrows invariably take. A faster arrow travels with less perceptible arc, so it is described as shooting "flat", although "flatter" might be the more accurate word. Either way, a fast flat-shooting arrow is something many shooters seek in a bowhunting or 3D rig. In the current archery market, speed sells. Right or wrong, it's a fact. Like in many industries, archery manufacturers are under constant pressure to make things go faster. As a result, each year brings a new bumper-crop of lightweight arrow shafts, better string materials, more efficient bow designs, friction-reducing components, etc. Again, there is some disagreement on this issue, and we'll hammer out the pros and cons in a moment, but the main idea is, lighter arrows go faster - sometimes dramatically faster. Heavy arrows go slower. So if you want your bow to shoot "flat", lightweight arrows are going to be a must, but like with most things in archery, there are trade-offs to consider. IS THERE A LIMIT? HOW LIGHT IS TOO LIGHT? Shooting an arrow that is too light can be dangerous, both to you and your expensive compound bow. Shooting an underweight arrow has a similar effect as dry-firing your bow. Without sufficient arrow weight, the string and limbs of your compound bow move too quickly and violently. It's like putting your car in neutral and flooring the gas pedal. The bow needs the resistance of the arrow to slow it down - so it doesn't "rev" out of control. Of course, an underweight arrow will fly like a rocket - generating unbelievable speeds. But anyone who does this is just asking for trouble. Modern compound bows aren't toys. They generate a tremendous amount of energy and should be treated with the same respect you would give any dangerous weapon. The vast majority of serious compound bow failures are not caused by manufacturer defects, but rather by dry-firing the bow or shooting dramatically underweight arrows. For your personal safety, and the longevity of your bow, we strongly recommend you follow the IBO Standards regarding minimum arrow weight. THE BIG 5 GR/LB STANDARD` The International Bowhunting Organization (IBO) sets a 5 grains per pound standard that's pretty simple to follow. Arrow weight (in grains) must be at least 5X the bow's draw weight. So a 60# bow should shoot no lighter than a 300 (5 x 60) grain arrow. Simple enough. 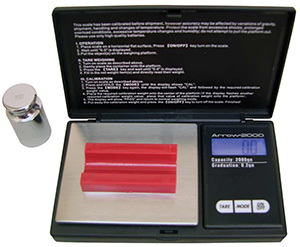 Another authority in the archery industry, the Archery Trade Association (formerly the AMO), also publishes an arrow weight recommendation chart called the AMO Minimum Arrow Weight Chart. The AMO chart is a bit more complex and takes more variables into account (brace height, bow efficiency, cam design, draw length, etc. ), but it is less widely used today. If you have a modern compound bow from the last 15 years or so, it's probably safe to assume the IBO standard applies. 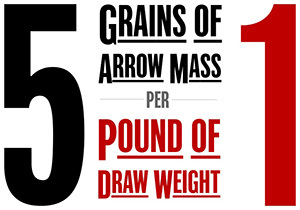 Since the IBO minimum arrow mass standard applies at 3D courses, many competitive shooters setup their arrows to weigh exactly 5 grains per pound. This keeps them just within the rules while providing the fastest possible arrow speeds. However, bowhunters often choose more moderate arrow weights - though certainly not always. Either way, please be aware of this hard safety minimum and never shoot an underweight arrow. FISH AND GAME LAWS` We strongly suggest you check your state regulations before ordering your hunting arrows. A few states still require a minimum total hunting arrow mass and/or a minimum GPI for a hunting arrow to be legal. Always respect your state's rules and regulations, and be advised that your state's rules and regulations may change from year to year. As a sportsman, it's your responsibility to know the (current) laws where you hunt and to make sure your equipment is in compliance from season to season. SPEED! GLORIOUS SPEED!` Fast cars, fast computers, fast wide receivers, fast-drying paint, fast-acting weed-killer - if it's fast, we love it. And when it comes to our archery equipment, it's no different. Show most guys a brand new bow, and their first question is likely to be "How fast does it shoot?" Right or wrong, speed is a major consideration for most archers. And it's great to see how advancements in materials and design technologies have made today's compound bows better, faster, and more fun to shoot than ever before. Of course, there will always be a few dissenters in the crowd, those who'll loftily claim they don't care about speed. But the market trends don't lie. Archery consumers are taking advantage of these innovations, buying high-performance bows and speed-boosting gadgets by the trainload. And nothing yields such a predictable and significant increase in speed like a good set of lightweight carbon arrows. So let's examine the pros and cons to shooting lightweight arrows. Let's find out where they help, where they hurt, and where they don't really make a difference. REAL WORLD EXAMPLE To illustrate this point, we prepared 7 arrows, ranging from 350 grains up to 500 grains in precisely 25 grain increments. We grabbed our demo PSE Stinger-X from the pro-shop and headed to the chronograph room. The bow was set for exactly 70 pounds of draw weight and 29 inches of draw length. With no additional fanfare, we then fired each test arrow through the chronograph and recorded the results. We weren't trying to do a serious scientific speed test, but rather to just illustrate the point about arrow mass vs arrow speed, and the results are pretty predictable. As you can see, as arrow mass increased - arrow velocity decreased. If you work out the KE, you might notice how, mathematically, the inverse relationship isn't exactly linear, but the trend is clear. Got it! DEPENDS HOW YOU LOOK AT IT` From a standpoint of accuracy, you may find that lightweight arrows will yield some surprising benefits. No matter how fast an arrow is, it will begin to lose trajectory the moment it is released from the bow. As it succumbs to the effects of gravity and air resistance, its flight path (trajectory) changes and the arrow eventually begins to drop back to earth. Arrows which fly more quickly hold their trajectory better than slower arrows. So archers who shoot lighter-faster arrows will have less need to adjust for distance - since the faster arrows will hold a "flatter" trajectory within a given distance. We're not suggesting slower arrows fly more erratically or unpredictably - not at all. In terms of predictability, a slow arrow is just as accurate as a fast arrow. But a faster arrow allows you to make more mistakes in yardage estimation. If you mis-estimate a deer to be 25 yards away, and it is actually 30 yards away, even the fast arrow lands a little lower than expected, but it "misses" its mark by a smaller margin than the slower arrow. Since a heavier arrow would nosedive more quickly, a five yard mis-estimation would result in a more dramatic miss. So whether you're a hunter or competition 3D shooter, you may find that faster arrows actually add a little error-buffering into your yardage estimation. Of course, if you always shoot a known distance, there would be no advantage - but that's not bowhunting. DUCKING THE ARROW` Hunters may also find that a faster arrow gives game animals less opportunity move out of position. When you fire an arrow at a game animal, the sound of the bow travels much faster (about 1100 fps) than the arrow. So the game animal will certainly hear the sound of the bow before the arrow arrives. During that time, the animal has a brief opportunity to lunge, jump, squat, or otherwise get out of the way. For example, an alarmed deer will often "crouch" in preparation to jump. This crouching motion makes it appear the deer has attempted to "duck" the arrow, when in fact the deer is just loading its muscles to jump and flee. As a result, many bowhunters tend to miss high, shooting the arrow over the deer's back or impacting above the kill-zone. Of course, there are several factors that come into play (the alertness and athleticism of the deer, your distance and angle from the target, the amount of noise from your bow, etc.) which can affect how quickly a deer responds to the sound of your shot. But one thing is for sure. The faster your arrow arrives at the target, the less time the deer will have to react. So in that respect, faster is indeed better. MORE SPEED USUALLY MEANS MORE NOISE` We hate to be party poopers, but blazing arrow speeds come with some undesirable side effects - like increased noise. It's to be expected, as faster moving things make a bigger disturbance in the surrounding air, but that's not all. 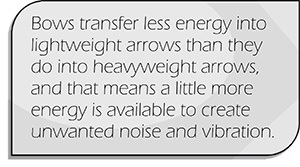 Bows transfer less energy into lightweight arrows than they do into heavyweight arrows, and that means a little more energy is available to create unwanted noise. If you doubt the idea, just pick-up a 1,000 grain fiberglass bowfishing arrow and fire it through your compound bow. Your bow will hardly make a whisper. Now, this isn't to say +/-50 grains is going to make a dramatic difference. The noticeable effect will vary bow to bow, and if you shoot a high-quality modern bow that's already pretty quiet, the difference will probably be minor. On the other hand, if your bow is already noisy, even when shooting your heavyweight aluminum arrows, shooting ultra-light carbon arrows will guarantee you a virtual harmonic train-wreck. TAMING THE BEAST` As with any bow, noise output depends on several things - some of which you can control. If you're diligent about maintaining your fastener torques, and your bow has a handsome compliment of string silencers/stops, dampeners and a good high quality stabilizer, noise output might not be an issue. 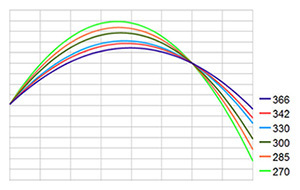 Nevertheless, noise is an important consideration for bowhunters, and you'll have to weigh the advantages of flatter trajectory against some increased noise. For what it's worth, most modern equipment bowhunters tend not to choose the very lightest shafts. Bowhunters tend to prefer mid-weighted shafts (Easton Bloodline, Gold Tip Hunter, Beman ICS Hunter, CX Predators, etc.) which yield moderate finished arrow weights. And while there is no single formula to fit every bowhunting application, our average custom arrow order (for men's hunting bows anyway) yields a finished mass of around 400 grains. Now, if you're not a hunter, bow noise is inconsequential. For competition 3D shooting, where noise and penetration really don't make a difference, lighter arrows with flatter trajectories are definitely better. But if you're a bowhunter, it's something to think about. OH BOY! THE KNOCK-DOWN POWER DEBATE` Here's where the debate gets heated among enthusiasts. With all other variables constant, a bow will achieve a bit more knock-down power when shooting heavier arrows. So some bowhunting enthusiasts will dismiss the benefits of faster arrow speeds and flatter trajectories, and claim heavier (and more deeply penetrating) arrows are the most ethical choice. As ethical bowhunters ourselves, we can't entirely disagree, but we have to keep this issue in perspective. Mathematically, there is an indisputable difference. The real question becomes, is it significant enough to make a difference in the field? Or is this debate just academic? To understand this issue, let's look at the basic physics. How much penetration, or knock-down power, a projectile has in the shooting sports is generally expressed in ft-lbs of kinetic energy. Arrows which impact the target with more kinetic energy will penetrate the target more deeply than arrows with less kinetic energy. Kinetic energy is the energy of motion. Any object which has motion has kinetic energy. It's not really so complicated to compute. 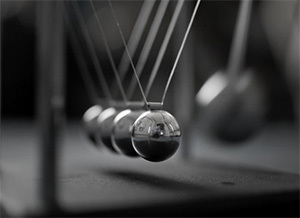 Kinetic energy depends on just two variables: the mass of the object in motion and the speed of the object in motion. 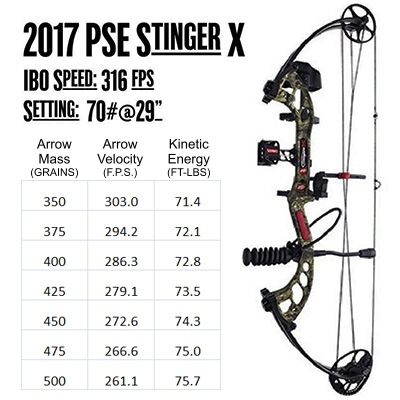 If we convert the data from our PSE Stinger-X test into ft-lbs of kinetic energy, we can confirm that the bow transfers energy more efficiently into heavier arrows. Fine. But are those extra ft-lbs a dealer-breaker? Do you really need to squeeze out every ft-lb you can get? Is the loss of arrow velocity worth the extra knock-down power? Those are questions you'll have to answer for yourself. Here are a few things to consider while you mull it over. CONSIDER YOUR TARGET` Before you make your decision in the speed vs. kinetic energy debate, you should consider your target - and the energy is takes to ethically harvest that animal with a bow. If you're hunting smaller athletic animals, say pronghorn antelope, which are particularly alert and skittish, a faster arrow would surely be best. Hunting smaller game doesn't require as much knock-down power, so getting the arrow to the target quickly will increase your chances of success. Other the other hand, if you're pursuing a 600 lb. elk, you'll be less concerned about the animal "jumping your string" and more concerned about getting optimal penetration. So if you hunt large heavy game, a heavier arrow may increase your chances of success. Like many issues in archery, the speed vs. KE debate is one that may never end! Every hunter seems to have his own opinions on the proper techniques, strategies, and ethics of big game bowhunting, and what applies to one hunter may not necessarily apply to another. But don't make a mountain out of a molehill. If you have a hot-rod modern compound bow producing 70+ ft-lbs of KE, and you only hunt whitetail deer, the speed vs. KE debate is largely academic. No matter what arrow you shoot, you'll have practically twice the energy required to harvest deer. In fact, at 70+ ft-lbs, you would have plenty of power for even the largest North American game species. But if your bow isn't such a hot-rod, or if you shoot low poundage and/or a short draw length, the KE issue may be a hair worth splitting. According to Easton's field chart, the amount of KE you'll need varies by the species you intend to hunt. Obviously, the larger the game, the more KE you'll need. And regardless of the power of your bow, you'll still need to land your shots in the boilermaker. If you hit an animal in the shoulder, all bets are off. But assuming you do your part, Easton's recommendations gives us a place to start. Of course, these recommendations aren't absolutes, nor are they guarantees of success. To give this some perspective, refer back to our PSE Stinger-X test. Would our bow be capable of harvesting a Whitetail Deer? According to the chart, yes, easily. A properly placed arrow impacting with 70+ ft-lbs of KE is likely to generate a clean pass-thru on a deer, with plenty of energy to spare. So the advantage of the extra knock-down power could be considered overkill. But as many of we bowhunters know, things don't always go as planned. Sometimes a little extra power might come in handy. Again, this is a personal choice. If you think those extra ft-lbs might make the critical difference, go with a little more shaft weight. Since velocity isn't squared in the momentum formula, arrow mass and velocity play more equivalent roles - momentum increases directly as velocity increases. In the kinetic energy model, energy increases as the square of the velocity. So if you recomputed our chart to show momentum, the energy differential (between the light and heavy arrows) would be much more significant. The heavier arrows would show a major increase in overall momentum (23% more instead of 6% more using our PSE Stinger-X example), and you could therefore conclude that heavier arrows would indeed yield dramatically better hunting penetration. Sounds logical, doesn't it? In fact, the application of this mathematical model would be a poke in the eye for speed freaks everywhere. It would be hard to argue that lighter arrows are better if they really resulted in 23% less penetration at the target. That would be a pretty major sacrifice. We bounced this idea off a few of our engineering friends inside the industry. They mostly just chuckled at the supposition. Eh! IS THERE A PHYSICIST IN THE HOUSE? Right or wrong, the shooting sports have a number of traditions and conventions regarding technical measurement. And the potential lethality of a projectile (whether from a firearm or bow) is traditionally expressed as a function of KE (ft-lbs). As such, most sporting enthusiasts have some comprehension of ft-lbs. Unfortunately, a momentum rating in kg m/s or lb ft/s would surely leave many of us scratching our heads. Given the dramatic difference in the two methodologies, it seems unlikely that KE has remained the standard of the shooting sport's for so long - especially if the model is so entirely incorrect. There are a lot of talented engineers and technical professionals in the archery and firearms industries. So either they have ALL somehow missed it, or the momentum model doesn't necessarily apply. Is there a physicist in the house?